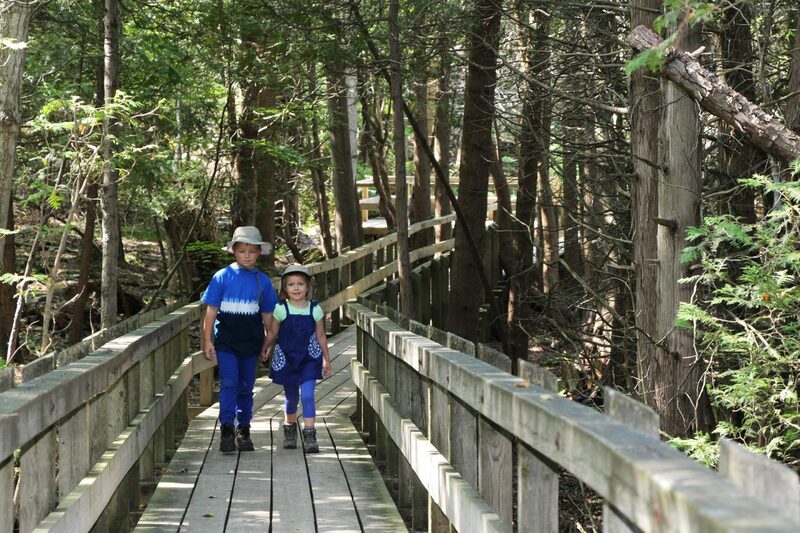 We love it when young families discover how easy it is to escape from Toronto for a taste of Nature Unexpected in Hamilton Halton Brant. 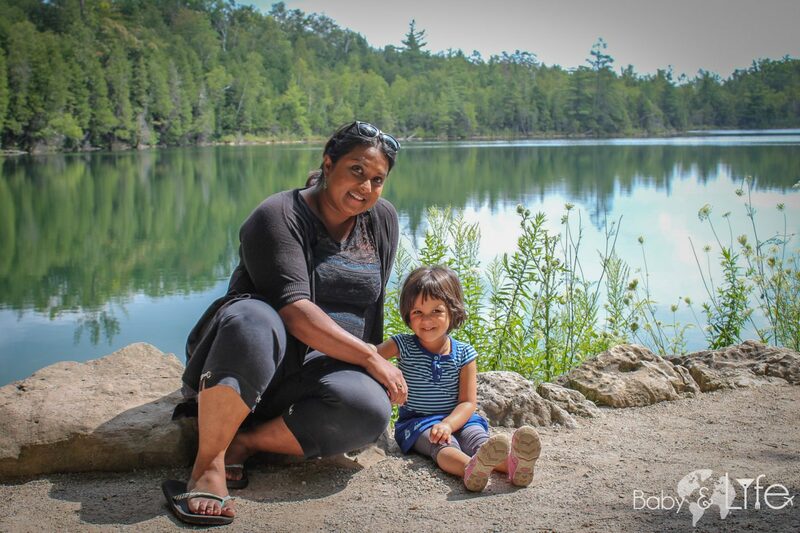 Yashy Murphy, who blogs at Baby and Life, made the trip to Crawford Lake with her husband and two young children. Read all about their adventures below. YASHY – We stumbled upon Crawford Lake in Ontario quite accidentally and was shocked that we hadn’t heard about this amazing little spot. 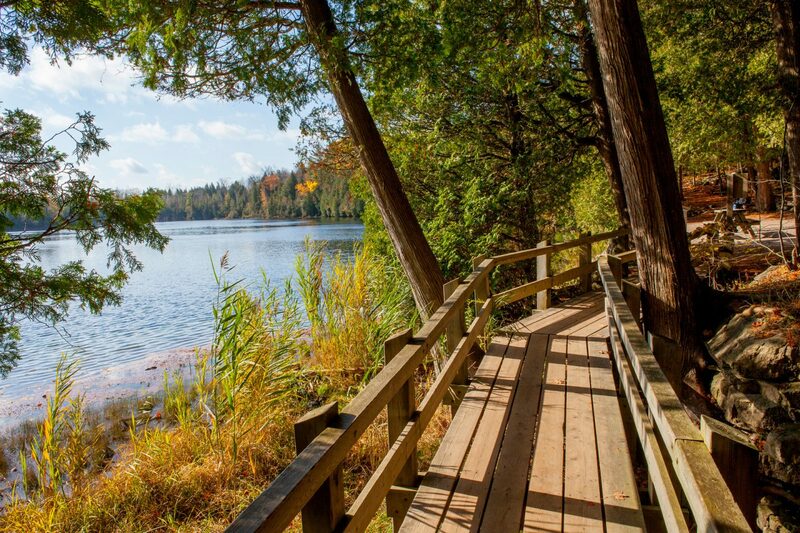 Less than an hour from downtown Toronto lies a meromictic lake surrounded by a boardwalk and a 15th century reconstructed Iroquoian village. The Iroquoian Village was how we came upon the lake actually. We explored Ontario’s Crawford Lake with Baby Boy and Little Monkey one sunny summer day and it was a nice little break for us city folks. During our recent travels exploring the Heart of Ontario, we were told the village would be a fun spot for the kids. While the village was okay, it was the lake that really impressed us. Don’t get me wrong, learning about the original settlers and exploring the three longhouses reconstructed based on the archaeological findings was very cool but when we heard that there was a lake nearby, that hot sunny day…we knew we had to visit. Our walk over was easy, minus a few branches we needed to scoot over and there were handcrafted statues lining our way down to the lake. It was so gorgeous and while we could have hiked around the lake (okay who am I kidding…we’re not hikers), we chose instead to just sit by the water and stare out. Even Baby Boy was quiet during our visit! We had our double Mountain Buggy stroller we had just bought before the weekend and were thrilled that it wasn’t the UPPA with us that day. There’s a few steps and quite a few bumpy paths so I would recommend baby wearing over bringing a lightweight stroller. You don’t want to ruin your wheels. If your have a super sturdy one, built for outdoor terrain, by all means bring it along. Little Monkey insisted on walking and picking up sticks ‘for the birds to build a nest’ and she then spent the time on the lake staring out and throwing rocks. I’d like to visit again, perhaps in the winter, to see how the lake looks during each of the seasons. A 1971 study revealed Crawford Lake to be meromictic and because the lake’s basin is deeper than its surface area, the lowest levels of water are very rarely, if ever, disturbed by wind or temperature changes. Needless to say the lake has been a primary source of information about the human and natural history of the lake and its surroundings. It is one of the most accurately dated pre-contact archaeological sites in Canada. Word on the lake is that Crawford Lake may evaporate in the next hundred odd years, leaving a Crawford Forest. So don’t dilly dally folks, grab the kids and explore the lake and the many trails around the conservation area. They’re open all year round so this is definitely a spot to explore during each and every season. Click here to see what else you can explore in the area!